Physical Description: 5' 11" blond, with craggy features. He's lean and in decent shape, but not exactly muscled. John can blend easy into a crowd - he looks pretty shifty, usually in trousers, white button down, plain red or black tie, trench coat over everything - occasionally you can catch him in a suit, but when his attention is on you, when he wants you to notice him, he's striking, dark eyed and intense. He's often unshaven, looking a little underfed, too tired. He's got a smoker's voice and just generally looks like someone who's lived a hard life. John almost always has some alcohol in his blood and a cigarette between his lips. Personality: Sarcastic until the very end, it's hard to catch John on a sincere day. Wit is his first defense and it's created a very thick skin. He's loyal as a dog to the people he loves and when he loves - which is rare - he loves hard. He's incredibly quick on his feet and hard to rattle - he's seen the face of the Devil, after all - but has a very healthy sense of survival as well, and knows when it's appropriate to be scared shitless. His mouth is foul, his habits fouler, and he's not very good at being honest, even with those he'd die for. Background: John can sense and command the supernatural. He can cast spells, perform glamors and exorcisms, and has an unbelievable knowledge of all things magic - although he's always learning new tricks. He'd always been drawn to magic, but had the humbling experience in his youth of condemning an innocent girl to hell. After that, he understood the true power of the supernatural and wasn't so quick to act on arrogance and pride - although he still has his fair share of both. Later in life, when his smoking habit caught up with him, he tricked the Lord of Hell into healing him so as to escape his fate. As a result, he became the sworn enemy of the First of the Fallen and in order to end things with him, used a succubus ally to bring Gabriel down from grace, then blackmail the fallen angel into helping him. 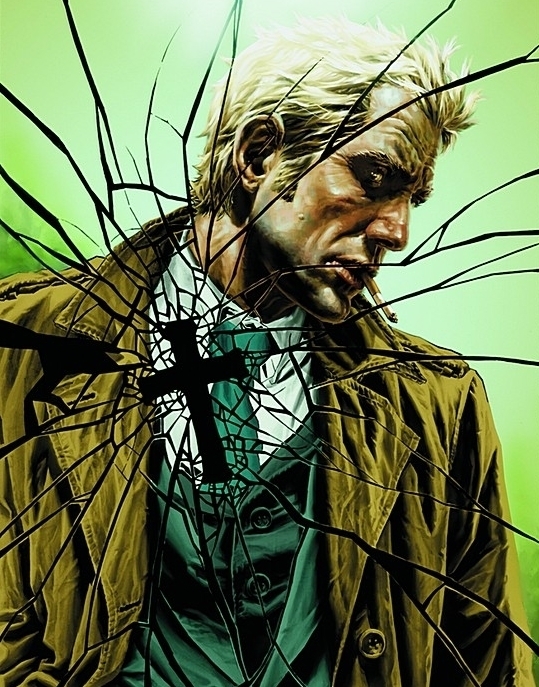 Neither God, nor the Devil, are fans of John Constantine.